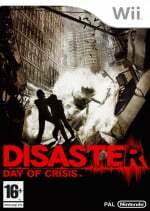 Disaster: Day of Crisis coming later this year? One of the games that never was, "vaporware" if you will, has been rated in Australia and all set for release this year? 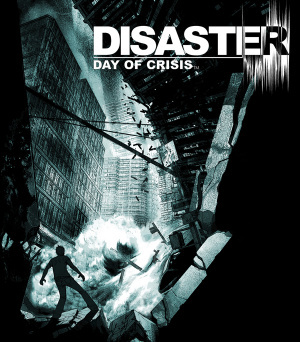 Originally announced at E3 two years ago Disaster: Day of Crisis was one of a few games that we've heard little about since. Developed by Monolith Soft the game is set to be some kind of adventure/survival game where the player must survive a number of natural disasters integral to the plot. Recent rumours had hinted that the game had been delayed indefinitely, however in the past few days the game has been rated by the Australian Office of Film and Literature Classifications (OFLC) which suggests the game is heading for release later this year. Along with this information we've also been told by a number of other reliable sources that Nintendo are planning to release the game in October here in the UK. Currently the title has been removed from Nintendo of America's press website but remains (although with little info) on Nintendo Europe's press site. The saga continues, hopefully we'll find out more very shortly. This looks good - and I personally am looking forwards to it more than AC:CF. Will this be the Metroid Corruption of 08 (great core gamer game that undersells because it wasn't quite out close enough to Christmas)?